but it wasn’t until she hired a personal trainer that the results really began to show. 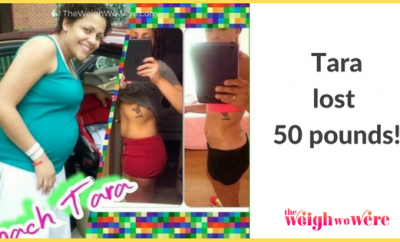 Read on to learn how she lost 20 pounds and 9.6% body fat! I had worked out on-and-off for many years, but I didn’t know much about diet, weight training, or cardio. My boyfriend (at the time) had a personal trainer and kept encouraging me to find one. I had seen the results of one local trainer, so I decided to give him a shot. Needless to say, he wasn’t the friendliest person I had ever met, but I wanted the results that I knew he was able to give me. He took some before pictures of me, but didn’t let me see them until the 3 month mark. I was shocked at how I had looked, but the results were amazing! I did a total body workout 2 days a week with no cardio. I did one exercise per body part, starting with chest, shoulders, back, biceps, triceps, legs, and abdominals. The main key for my progress was diet. I started out at 1,500 calories per day (48% protein, 30% carbs, 22% fats). I used EAS Myoplex for my protein shakes because I am an ICU Nurse and I couldn’t always eat whenever I needed to. When I hit a plateau, I dropped my calories by 100. Once a week, I allowed myself a cheat meal if I had dropped body fat. Anyone can do it at any age. Dedication, desire, discipline, motivation, and patience will get you there. It took me 48 years to build a frumpy body, but only 3 months to transform. Never give up! This is a journey, and as with any journey, there are hills to climb and hurdles to overcome, but there are also sunny, easy days as well. Stay focused. Before you eat anything, go to a mirror and lift up your shirt. Ask yourself “do you want abs, or this junk food?” Make each bite you take an act of thoughtfulness. Remember, food is fuel.